All Posts / Our Championships / 2019 Scotties Tournament of Hearts gets underway Saturday in Sydney, N.S. 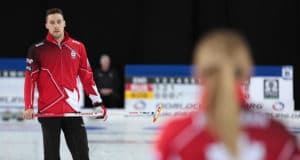 2019 Scotties Tournament of Hearts gets underway Saturday in Sydney, N.S. 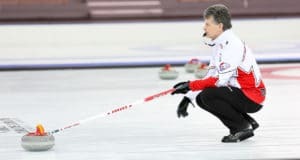 Jones, with her current Winnipeg team of vice-skip Kaitlyn Lawes, new second Jocelyn Peterman, lead Dawn McEwen, Officer at alternate and coach Viktor Kjäll, will open play on Saturday night (7:30 p.m.; all times Atlantic) against Saskatchewan’s Robyn Silvernagle (North Battleford). The first draw of the 2019 Scotties will be Saturday at 2:30 p.m., which is when home-province hopeful Jill Brothers and her Nova Scotia team from Halifax hits the ice for the first time, taking on B.C.’s Sarah Wark (Abbotsford). But there will be plenty of action at Centre 200 before that first draw. On Friday night at 7:30 p.m., the 16th and final entry into the Scotties will be decided at the Wild Card playoff game. Team Casey Scheidegger of Lethbridge will take on 2018 Scotties silver-medallist Team Kerri Einarson of Gimli, Man., at 7:30 p.m. at Centre 200. 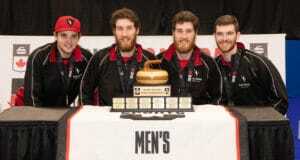 Admission is free, with donations in support of junior curling being accepted at the door. The winner will become Team Wild Card and will join Pool B in the two-pool, 16-team competition. On Saturday, the Opening Ceremonies are scheduled for 1 p.m. at Centre 200, and are free to attend. The 16 teams are split into two pools of eight, based on their Canadian Team Ranking System standing as of Dec. 31; the Wild Card winner will be the No. 3 seed.